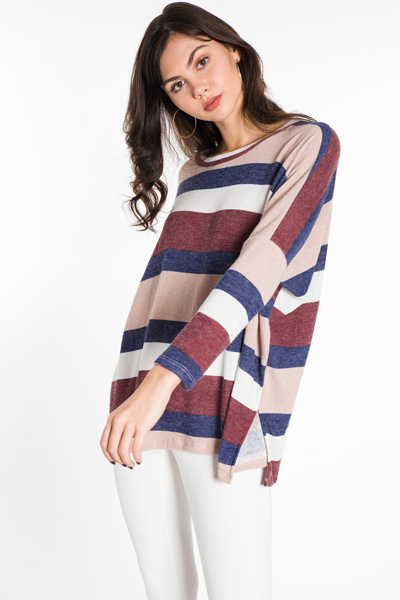 Stretchy, striped, and perfectly slouchy! 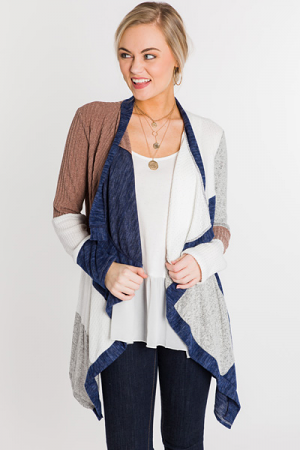 Dolman sleeves and split sides help add to the otherwise boxy fit. Fit is generous. Model is wearing size small. Length measures approximately in Font/Back: S=28"/29" M=29"/30" L=30"/31"